A major earthquake hit a remote mountain region of Nepal on Tuesday, killing at least 42 people. KATHMANDU, Nepal (KGO) -- A major earthquake hit a remote mountain region of Nepal on Tuesday, killing at least 42 people, triggering landslides and toppling buildings less than three weeks after the Himalayan nation was ravaged by its worst quake in decades. 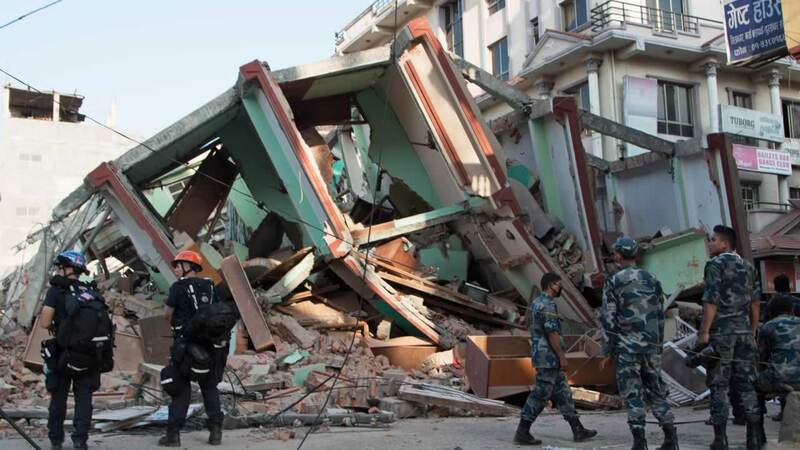 The magnitude-7.3 quake's epicenter was northwest of the capital city of Kathmandu, near the Chinese border. Shaking was felt throughout Nepal and neighboring Tibet. It was followed by a dozen large aftershocks, the largest of which was a magnitude-6.3. Nepal's Home Ministry says at least 42 people have died and over 1,000 others have been injured. Rescue teams in Nepal are again digging through the debris, searching for survivors. Crowds were screaming and rushing to safety as the powerful quake hit around 1 p.m. local time, just after midnight our time. ABC7 News reporter Sergio Quintana is the only Bay Area reporter in Kathmandu. He says he ran from his hotel room without his shoes on and watched as panicked residents poured into the streets. "Thousands of people streamed out of the downtown Tamal District, terrified that some of the buildings were going to collapse on them. Lots of people also immediately shut down their businesses and went home," Quintana said. Quintana tweeted videos shortly after the quake hit. He is in Nepal following a group of aid workers on a recovery mission. The earthquake rocks a country struggling to recover from a deadly magnitude-7.8 earthquake that shook the region just 17 days ago. Tuesday's shaking was reported as far away as New Delhi, India. "The cars were shaking, the buildings were swaying. I think one of the most shocking things was how long the earthquake went on for," Canadian Red Cross' James Shaw said. Some buildings crumbled and an ancient temple collapsed as workers inside ran for their lives. The quake also triggered a rockslide in the mountains. Homes sit just feet away as boulders barreled down the hill. 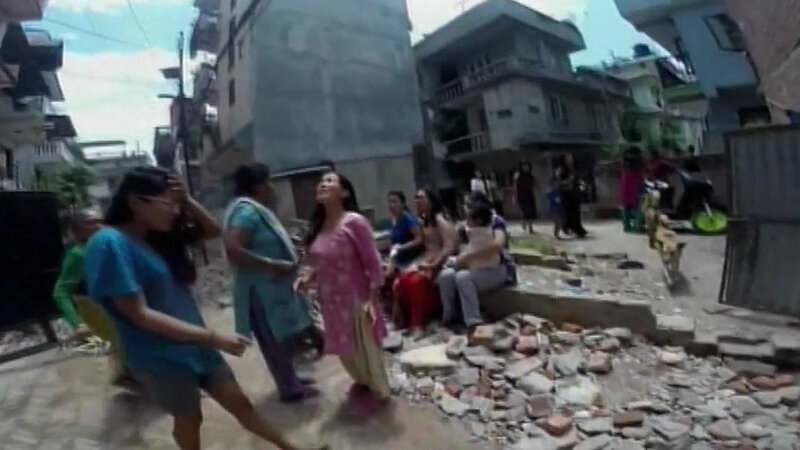 Nepalese, many traumatized by April's quake, now have to deal with the aftershocks. These are very large aftershocks. Five in a row were greater than 5.0. One measured nearly three times stronger than the one that hit Napa last summer.